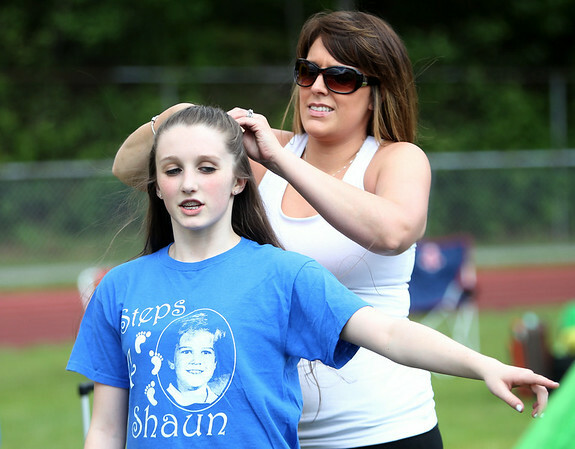 Brianna Sano, left, of Salem, has her hair braided by Melissa Field, also of Salem, at the Peabody High School Relay for Life. DAVID LE/Staff photo. 6/6/14.